This is one of the best selling combos of the season. 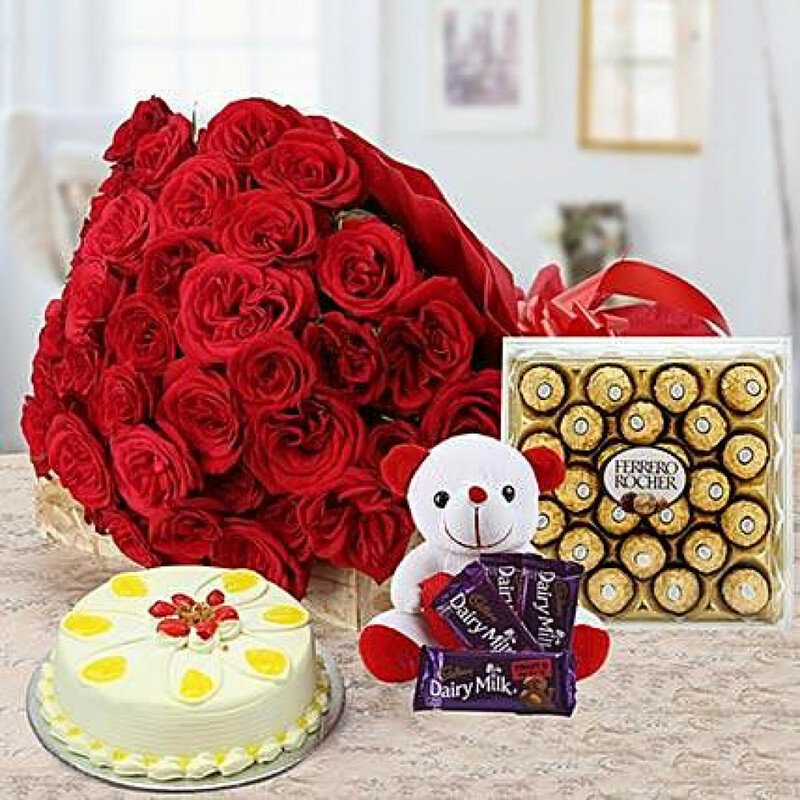 It includes an amazing bouquet of 40 Red roses with 4 Fruit N Nut chocolates (38gm each) , a Soft toy, 300gm Ferrero rocher chocolate box and Half kg of Butterscotch cake. A complete combo to gift your loved ones on any special occasion. Ferrero Rocher Chocolate Box - 24 pcs.